Do you have questions about dumpster rentals? Below we have chosen the top 5 frequently asked questions we receive about dumpster rentals. 1. What is the dumpster rental process? The dumpster rental process is actually pretty simple. 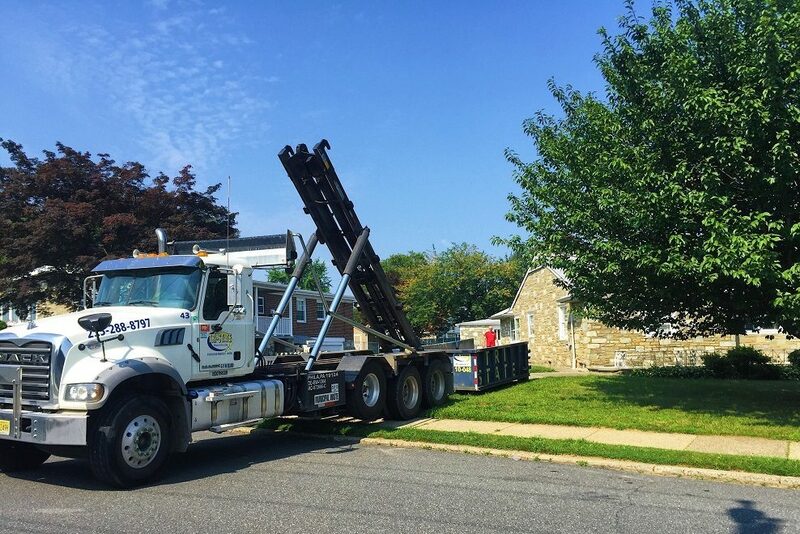 First you call the dumpster rental company and let them know where and when you would like your dumpster delivered.The driver then delivers the dumpster on the date you ordered. You then fill the dumpster with debris and other items from your location, home, or job-site. When you are finished with your dumpster, call the office to let them know you are ready for the dumpster to be removed. 2. What size dumpster do I need? This is the most common question we receive. It is often hard to predict just how big of a dumpster you need, especially when a small job ends up turning into a rather large one. Here are Tri-State Waste & Recycling we offer a variety of dumpster sizes to accommodate jobs small and large. Head over to our dumpster selector guide to view all of our dumpster sizes. Still unsure what size is best for you? Give us a call and one of our representatives will be happy to discuss your options with you. 3. What can I put in the dumpster? All types of items can go inside of dumpsters. Roofing and construction companies use dumpsters for roofing shingles and other construction debris. Renting a dumpster for yard waste is common in the spring and fall. Dumpster rentals for home renovations that require disposing of drywall, tile, and other debris are also frequent. Most household junk can also go inside of your dumpster. Items you are not allowed to put in the dumpster include batteries, adhesives, oil, paint, tires, and anything that might be flammable or explosive. 4. How high should I fill the dumpster? The rule when loading your dumpster is to keep the top even and level. When everything is packed evenly, it will create more room inside your dumpster and allow for a safer removal process. 5. How much does it cost to rent a dumpster? Enter in your zip-code for a free instant quote on our website. The cost to rent a dumpster depends on the size you need and the length of your rental. Dumpster rentals come with a rental period and a tonnage capacity for each size.